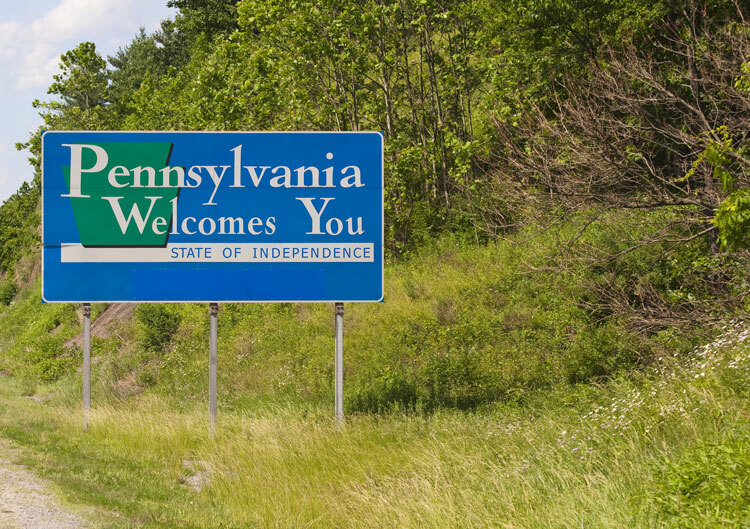 Harrisburg, Pa. — Pennsylvania Department of Transportation (PennDOT) Secretary Leslie S. Richards announced that project-planning collaboration and outreach with more than 750 municipalities is complete on more than 1,850 projects through the department’s PennDOT Connects transportation planning process. Successful project examples and more details on the initiative appear in a newly released PennDOT Connects Implementation report (https://www.penndot.gov/ProjectAndPrograms/Planning/Documents/PennDOTConnects/PennDOT_Connects_AR_2018.pdf), which updates the public and partners on the deployment of the department’s initiative that was implemented in 2016. The new approach to project planning and development expands the department’s requirements for engaging local and planning partners by requiring collaboration with stakeholders before project scopes are developed. PennDOT Connects aims to transform capital and maintenance project development by ensuring that community collaboration happens early, and that each project is considered in a holistic way for opportunities to improve safety, mobility, access, and environmental outcomes for all modes and local contexts. Earlier collaboration will ensure that projects meet current and projected needs as much as possible and can reduce costly changes later in the project development process. Specific areas for discussion during collaboration include but are not limited to: safety issues; bicycle/pedestrian accommodations; transit access; stormwater management; utility issues; local and regional plans and studies; freight-generating land uses and more. Route 1001 in Clinton County: Collaborated with local partners to include a retaining wall and a bicycle/pedestrian path providing connectivity to a park as part of a roadway realignment project. 11 bridges in Lackawanna County: Coordinating with the City of Scranton to improve traffic flow, coordinate construction schedules, and enhance bicycle/pedestrian accommodation as part of a series of bridge rehabilitation/replacement projects. Route 378 Bridge in Lehigh County: Coordinated with the City of Bethlehem and various stakeholders to understand concerns and future plans for the historic bridge that connects the north and south sides of Bethlehem. American with Disabilities Act (ADA) Improvements in Philadelphia: Coordinating with the City of Philadelphia to use data from its Philly 311 maintenance request system to help prioritize ADA curb ramp reconstruction. Route 58 in Clarion County: Coordinated with Licking Township and the Amish community to accommodate all modes of local traffic during construction of a bridge replacement. Route 4084 in Allegheny County: Collaborated with the City of Pittsburgh to introduce bicycle lanes and intersection improvements as part of a roadway reconstruction and bridge preservation project. Recognizing transportation’s role in connecting communities and supporting economic development, Richards announced the PennDOT Connects policy in late 2016 to enhance local engagement and improve transportation-project planning, design, and delivery. For more information on PennDOT Connects, visit www.penndot.gov/connects.